100% Satisfaction since 2013! Cottage is rented from Saturdays - Saturdays. 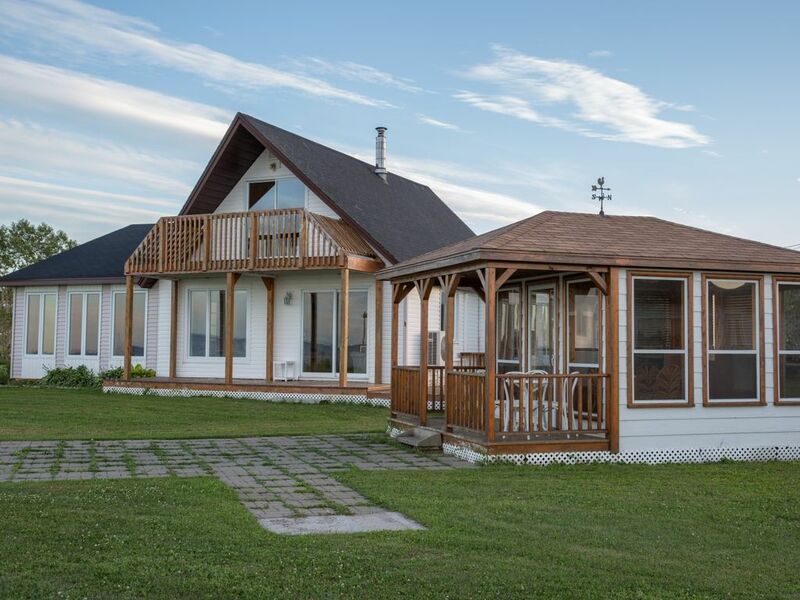 Welcome to 633 Rue Principale in Pointe Verte (minutes from Petit-Rocher, Beresford & Bathurst). If you are LOOKING FOR A UNIQUE RENTAL WITH PRIVACY and a large lot for the kids to play & run, this is it! This home sits on 2 ACRES of land and is a true waterfront! All bed & bath linens are included and the property also includes all appliances including a washer & dryer. A kids play cabin is also attached to a garage and features a sofa and two chairs that make beds. Some adults use it to sleep while listening to the water. PERFECT FOR AFTERNOON NAPS. The MASTER BEDROOM is located on the second level and has a patio door that opens to a small porch to enjoy the views! The LARGE LIVING ROOM offers lots of windows and a patio door to be able to see views from all angles. It is furnished with a high end Futton, 2 lazy boys and an extra chair. The FORMAL DINING AREA also offers 3 large windows overlooking the water. It features a new dining room table and chairs that seat 6. The GUEST BEDROOM is on the main level and offers 2 comfortable Queen Beds. AND ITS BEST FEATURE IS THE OUTDOOR GAZEBO WITH A DINING TABLE AND 6 CHAIRS FOR THOSE BBQ AFTERNOONS OR EVENINGS. We are only looking for respectful adults/families. Not interested in renting for parties of any sort. Property is supervised and we will not tolerate abuse. Cleaning or maid services is available for $100.00 per visit. Basic rate is for a family consisting of two adults with children. For more than two adults traveling there is an additional fee of $75/adults. True Waterfront! Enjoy the views and enjoy plenty of green space for outdoor fun! Near the water you will also find a gazebo with a dining table and 6 chairs as well as a BBQ. A true vacation destination for someone looking to get away from their busy life. Cleaning or maid services is available for $100.00 per visit. Basic rate is for a family consisting of two adults with children. For more than two adults traveling there is an additional fee of $75/adults. Extra person fee of 10.71 per person per night after the first 2 guests.